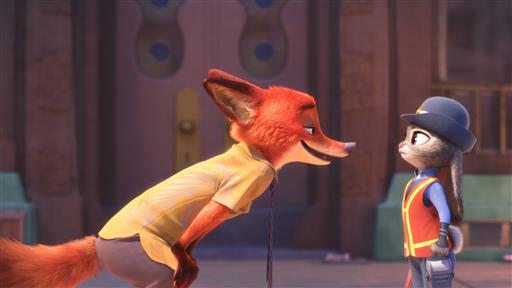 In a crowd of R-rated films, Walt Disney Co.’s latest animated feature “Zootopia” looks poised to run away with the weekend box office’s top spot. Internet buzz for the entertainment giant’s /quotes/zigman/245568/composite DIS +0.53% “Zootopia” has been strong, according to online-ticket retailer Fandango. The film is expected to garner $71 million, according to tracking by Box Office’s Daniel Garris. Some of Walt Disney Animation Studios’ recent domestic successes include 2010’s “Tangled” ($200.8 million), 2012’s “Wreck-It Ralph” ($189.4 million), 2013’s “Frozen” ($400.7 million) and 2014’s “Big Hero 6” ($222.5 million). “With ‘Kung Fu Panda 3’ winding down its run, the family marketplace will be wide open for ‘Zootopia’ this weekend,” Garris wrote. An opening weekend of $71 million should be more than enough for “Zootopia” to knock “Deadpool” from its perch. Now the third highest-grossing R-rated film, “Deadpool” has enjoyed three weeks at the No. 1 spot, grossing $290.4 million domestically. Garris expects it finish No. 3 this weekend adding another $17.5 million for 20th Century Fox /quotes/zigman/130968428/composite FOXA -1.03% /quotes/zigman/130968429/composite FOX -0.76% . Just one week after Lions Gate Entertainment Corp.’s “Gods of Egypt,” starring Gerard Butler, fell flat, the actor has another film entering the market this weekend. Garris expects “London Has Fallen” to earn $21 million for art house studio Focus Features, a division of Comcast Corp.-owned /quotes/zigman/89307/composite CMCSA -0.33% NBCUniversal. Like the 2013 installment “Olympus Has Fallen,” the film stars Butler, Aaron Eckhart and Morgan Freeman. Also opening this weekend is “Whiskey Tango Foxtrot,” from Viacom Inc.-owned /quotes/zigman/7563811/composite VIA -1.06% /quotes/zigman/7563825/composite VIAB -1.18% Paramount Pictures. The Tina Fey-led film about a female journalist in war-torn Afghanistan and Pakistan is expected to earn $8.3 million, according to Garris. “Tina Fey has been a consistent box office draw over the years and is coming off the strong performance of last year’s ‘Sisters,’” he wrote. “There have been a limited amount of wide releases aimed directly at female moviegoers in recent weeks. The void could help ‘Whiskey Tango Foxtrot’ out a bit. Get news alerts on Walt Disney Co. — or create your own.